According to Software Advice, sixty-four percent of retailers don’t have a POS system in place. You’re probably wondering if you should invest in a POS system for your business. The right one can reduce human error, streamline the checkout process, and improve your bottom line. It doesn’t matter if you’re good with math or inputting inventory. You’re still subject to human error. The smallest error may not hurt your revenue, but something as small as a one percent margin of error can cost you thousands of dollars over the span of a year. Say you had an average revenue of $1569.60 six days per week, 52 weeks out of the year, according to an example from Firmology. With a one percent margin of error, you’ll lose up to $4897.15 per year. That’s tough in a competitive industry like the retail business. The right point of sale system for your business can prevent human errors from messing up your bottom line. 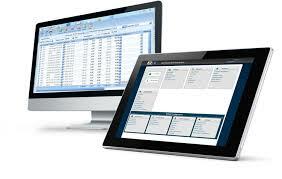 It can improve the accuracy of your daily reporting and inventory management. You may have to pay a monthly fee for this service, but it’ll save you money in the long run. You’ll earn those six figures within months of using your POS system. Customers avoid long lines at all costs. Whenever they see a long line, they head out the door. Fast and efficient checkout and customer service is critical for any business. You should invest in a POS system that’s tied to your particular industry and the types of transactions you perform on a regular basis. The right POS software can decrease the number of times each customer spends in line or at the register. Today’s POS systems include new features such as integrated barcode scanning to ensure fast and easy checkouts. Having a POS system is a must for improving the customer experience. With the right POS software, your business will have access to customer data that can be used for loyalty reward programs and other marketing incentives. This can help you reach your customers and provide the best service possible. The right POS system can help you manage your employees and prevent employee theft. You can enforce store policies and make sure the money is where it belongs — in the cash register. You’ll be able to keep track of the inventory, so you can identify where the losses are occurring. When you invest in a better POS system, you can reduce store losses that would be otherwise hard to account for with handheld methods. Are you still using a pen and paper and a calculator to keep track of your business? Do you use spreadsheets to keep track of your inventory? A POS system can eliminate the need for all of these and include them into a streamlined process. Some POS systems automatically update your inventory, so you don’t have to do it manually. If you change the price of the product, it will be reflected within the inventory management system. 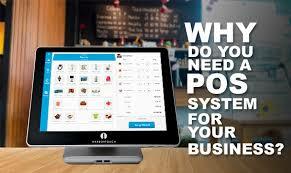 Some POS systems are integrated into your online store every time a price change or inventory change is made. Not every POS system works this way so it’s important for you to determine which one is best for your business. Do you have a hard time figuring out what the best-selling products are? Do you find yourself wondering which sales and promotions bring in the most revenue? Do you have a hard time determining which person on your sales staff brings in the most sales? Investing in the right POS system can give you the tools you need to create reports on everything from daily reports to gross margins according to product category. This information is valuable for making the right decisions in your business. You can identify the strengths and weaknesses of your business, so you can improve sales and marketing while you increase revenue. Don’t think that POS systems are only for large businesses with a huge amount of employees and inventory. It doesn’t matter if your business is small or large, you need to keep up with the daily sales and inventory changes. The right POS system can do all of that for you and more. There are plenty of systems that will meet your business needs. How To Easily Fix The 403 Forbidden Error In WordPress?